The 24th of February, 16:00: Performing with KOTTOS in Store Magleby Kirke, DK. The 20th of January 2019, 16.00: Performing with KOTTOS in Mariendalskirken, Cph, DK. 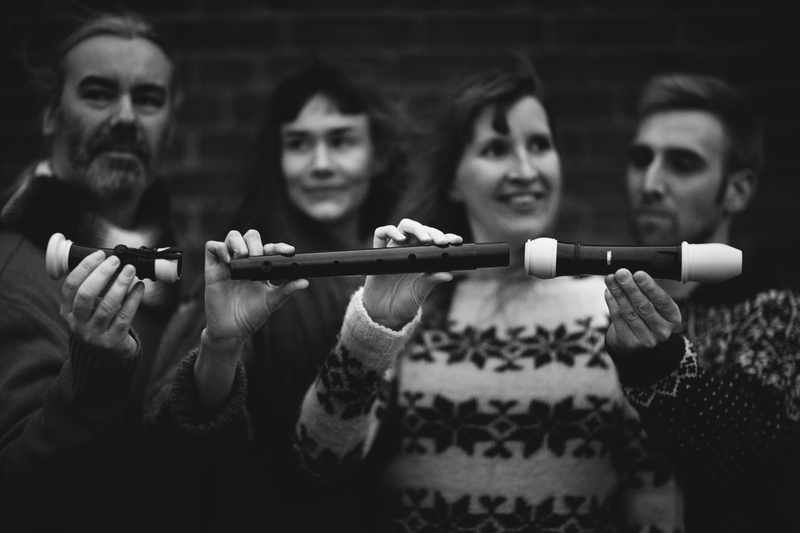 The 13th of January, 16:00: Performing with KOTTOS in Lynæs Kirke, Hundested, DK. The 24th of November, TBA: Performing with We like We at Sounds of Stockholm, SE. The 6th of November, TBA: Soloist in Martin Åkerwall’s ‘Nordic Requiem’ in Århus (DK). Time and place TBA. The 3rd and 4th of November, TBA: Soloist in Martin Åkerwall’s ‘Nordic Requiem’ in Islev Kirke (DK). The 1st of October – 4th of November 2018: KOTTOS touring with MARTYRIET – a chamber opera by John Frandsen with Morten Grove Frandsen and Liv Oddveig Midtmagelig singing the solo parts. The 14th of October, TBA: KOTTOS and NJYD performing joining forces in Frederiks Kirke, Skåde, DK. The 17th of April, TBA: Showcase for LMS in Haderslev with KOTTOS. 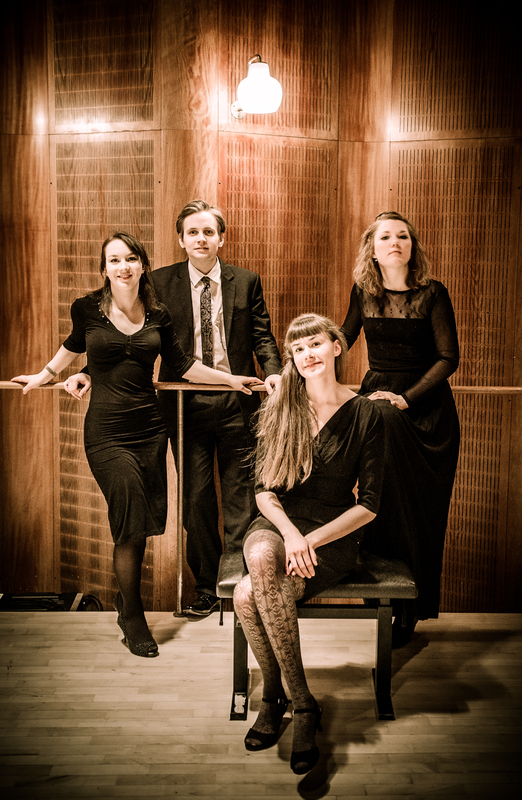 The 16th of August 2018, 19:30: KOTTOS performing in Ørslev Kirke, Udby, Denmark. The 5th of August 2018, TBA: Concert with Trine Opsahl in Valbyparken at the annual Celebration of the Rose. 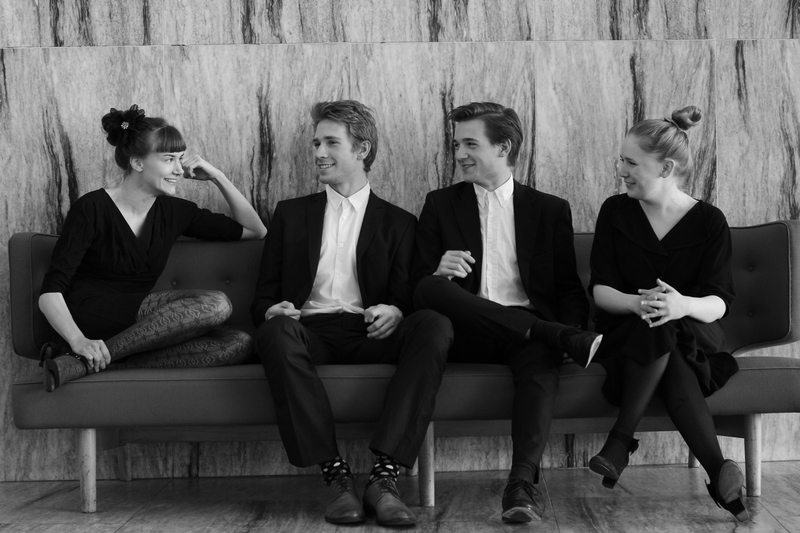 The 3rd of August 2018, 19:30: KOTTOS performing at Copenhagen Chamber Music Festival. The 30th of July 2018, 19.30: Concert with KOTTOS at Den Gamle Station, Hirtshals, DK as a part of Vendsyssel Festival. The 21st of July 2018, 13.00: Concert with KOTTOS at Frederiksværk Musikfestival, Denmark. 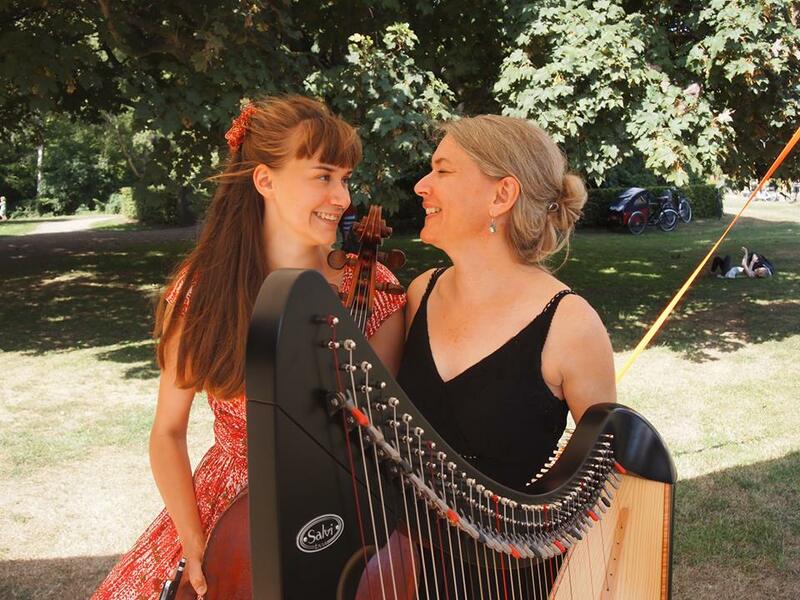 The 4th of July 2018, time TBA: Trine and Josefine Opsahl performing at Klassisk på Femø. The 3rd of June 2018, 16.00: KOTTOS at Vildmosekoncert, Vildmose, Denmark. The 24th of May, 19.00: Solo performance featuring ‘Liquid Entity’ at &Tradition during 3 Days of Design, Cph. The 15th of April 2018, 15:00: KOTTOS performing in Valgmenighedskirken, Holstebro Denmark. The 10th of April, 17.00: Performing at the release of the book ‘Carl and Marie’ by Lotte Andersen at Gyldendal’s Forlag (CPH). Revisiting Carl Nielsen’s music together with singer Katinka Fogh Vindelev. The 9th of April 2018, 14.30: Solo performance celebrating Danish architect Jørn Utzon’s 100 year’s anniversary and opening the main exhibition Horisont, Utzon Centre, Aalborg Denmark. The 5th of February 2018, 19.30 Kirke Hyllinge Kirke, Denmark. The 7th of February 2018, 19.30 Vor Frue Kirke, Assens, Denmark. The 19th of February 2018, 20.00 Gimsinghoved Kunst og Kulturcenter, Struer Denmark. The 20th of February 2018, 19:30 Jelling Kirke, Jelling Kirke, Denmark. The 21th of February 2018, 19:30 Vor Frelser Kirke, Horsens Denmark. The 25th of February 2018, 17:00 Skt. Bendts Kirke, Ringsted Denmark. The 26th of February 2018, 17:00 Fredens Kirke, Odense C, Denmark. The 27th of February 2018, 19:30 Skt Nikolaj Kirke, Nakskov Denmark. The 28th of February 2018, 19:30 Starup Kirke, Haderslev Denmark. The 18th of January 2018, time TBA: Concert with We like We at Eurosonic 2017 in Groningen, Netherlands. The 3rd of January 2018: Copenhagen premiere of the theatre play Hullet at Teater Grob, Cph. The play is written by Brian Wind-Hansen, directed and performed by Von Baden, music and sound installations by Josefine Opsahl. Playing Jan 3rd – Jan 16th. The 10th of December 2017, 20:30: Release concert of Next to the entire All by We like We in the Village Recording Studio, Vanløse, Denmark. The 3rd of December 2017, 19.30: Concert with We like We at Testrup Højskole, Denmark. 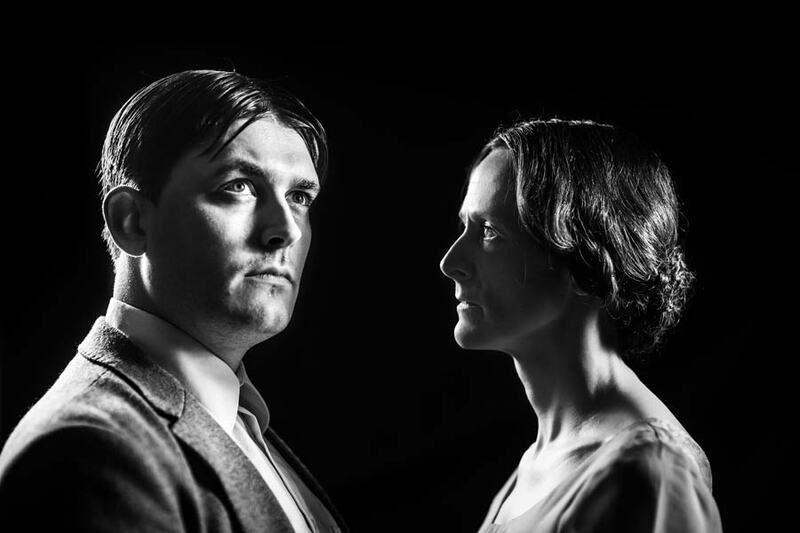 The 1st of December 2017: Premiere of the theatre play Hullet at Svalegangen, Århus. The play is written by Brian Wind-Hansen, directed and performed by Von Baden, music and sound installations by Josefine Opsahl. Playing Dec 2nd – Dec 16th. 12th – 26th of November 2017: Residency at Festival Musica Estranha, Brazil, with We like We. The 10th of November 2017, 19.00: Concert with We like We at Sønderborg Teater, DEFINE Festival, Denmark. The 5th of November 2017, 15.00: Soloist in the premiere of a new nordic requiem, Nordisk Requiem by composer Martin Åkerwall in Islev Kirke, Denmark. The 4th of November 2017, 12.00-00.00: We like We and Jacob Kirkegaard will premiere their collaborational work Time is Local a live installation created in and for Thorvaldsens Museum. 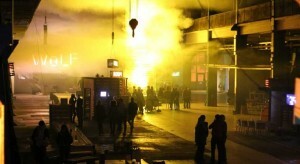 The installation will be running throughout the G((O))NG TOMORROW Festival in Cph. Keep an eye out for the opening night. The 25th of October 2017, 19.30: BINZER/PELLEGRINI/OPSAHL in Ulse Kirke, Haslev. The 20th of October 2017, time TBA: Concert with KOTTOS in Agrinio, Greece. The 19th of October 2017: Concert with KOTTOS at the Danish Institute in Athens, Greece. The 18th of October 2017, time TBA: KOTTOS giving concert and masterclass at Piræus Music Conservatory, Piræus, Greece. The 13th of October 2017, 18.30-00.00: Solo, duo and trio installation performances with accordionist Bjarke Mogensen and recorder player Pernille Petersen in the beautiful Thorvaldsens Museum. Light installation by Mike Jones. The 12th of October 2017, 16.15: Solo performance at the release of the G((o))ng Tomorrow Festival programme 2017 at Periton, Copenhagen. The 7th of October 2017, 19.30: Guest performance at accordionist Bjarke Mogensen’s solo recital at Usedomer Musik Festival, Germany. The 6th of October 2017, 19.30: Concert with KOTTOS in Sognets Hus, Maribo. The 2nd of October 2017, 17.00: Solo performance at the Danish National Museum for Politikens Forlag releasing Tom Buk Swienty’s new book: ‘Det Ensomme Hjerte’. 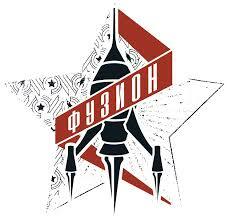 The 15th – 17th of September: We like We is invited to play in the Klassisk på Kanten Festival at Bornholms Teater. Together with curator Andrea Pellegrini and accordionist Bjarke Mogensen, we will explore the fields of film music. The 7th of September, 19.30: Perfomance with poet Shadi Angelina Bazeghi at Odinteatret, Denmark. The 1st of September, 16.00: Solo performance and talk on tradition and new thinking in arts at The Royal Danish Academy of Architecture. The 31st of August, 18.00: Solo concert at the opening of B Ø R G E R at KIHOSKH, Vesterbro Copenhagen. The 22nd of August, 19.30: Concert with KOTTOS in Koncertkirken at Blågårdsplads, Copenhagen. The 18th of August, 19.00: Concert with KOTTOS in Flatdal Kyrkje, Norway. 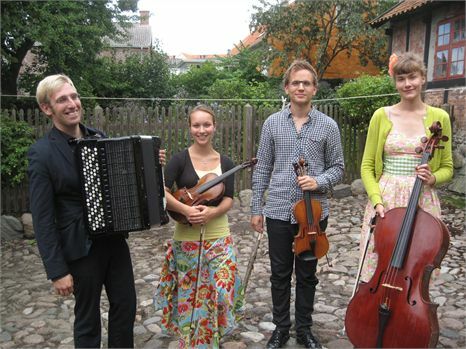 The 12th of August, 19.30: Concert with KOTTOS in Den Gamle Station, Hirtshals, Denmark. 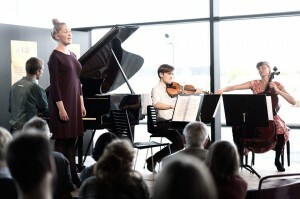 The 10th of August: Concert with KOTTOS at Tisvilde Højskole. 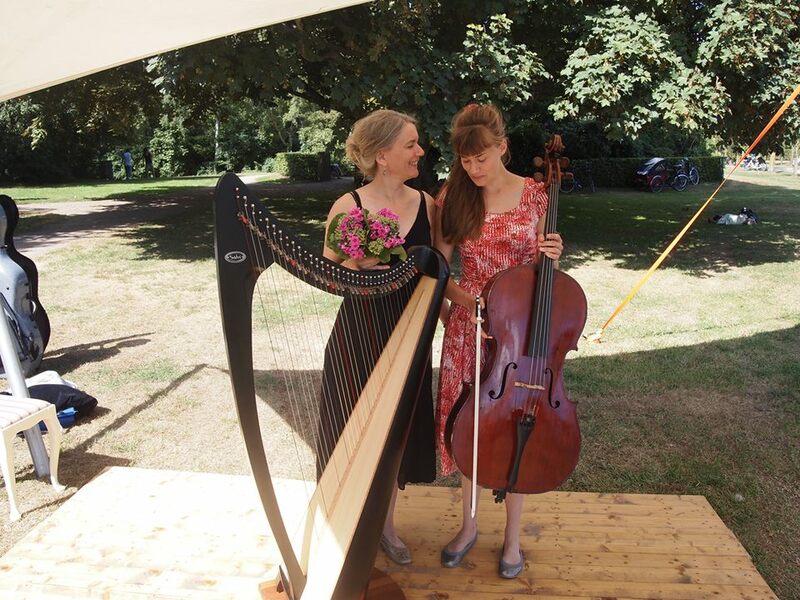 The 6th of August, 12.30-13.00 and 13.30-14.00: Concert with harpist Trine Opsahl at the annual Rosenkåring in Valbyparken, Copenhagen. The 3rd of August, 19.30: Concert at Copenhagen Summer Festival. Performing Martin Lohse, Messiaen and Debussy. 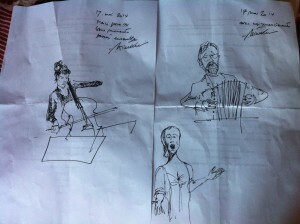 The 31st of Juli, 19.30: Concert with accordionist Bjarke Mogensen at Copenhagen Summer Festival. The 27th of Juli, 10.30: Solo performance at Nordisk Kammermusikfestival. Diving into brand new pieces for unaccompanied cello as well as electronics. 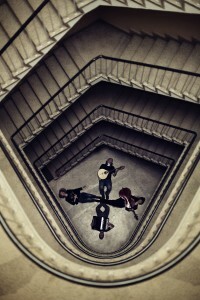 The 23h of Juli, time TBA: KOTTOS playing at Fanø Free Folk Festival, Fanø, Denmark. The 22h of July, 19.30: Concert with KOTTOS in Sneum Kirke, Denmark. The 15th of Juli, 13.00: Concert with accordionist Bjarke Mogensen at Gjethuset, Hillerød, Frederiksværk Musikfestival. 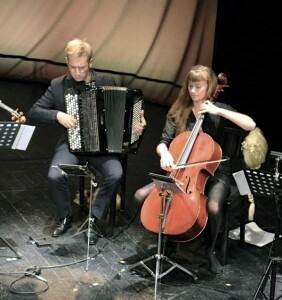 The 3rd of May, 19.00-20.00: Tango concert with Mezzo-soprano Andrea Pellegrini and accordionist, Bjarke Mogensen at ODEON concert hall in Odense, Denmark. 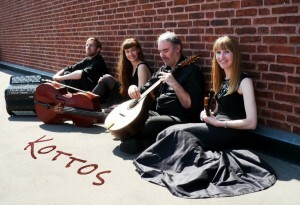 The 26th of April, 19.00: Concert with KOTTOS in Nyborg Kirke, Denmark. The 11th of March, 20.00: Concert with Andrea Pellegrini and Jakob Binzer at Holmboe i Horsens in Kulisselageret. 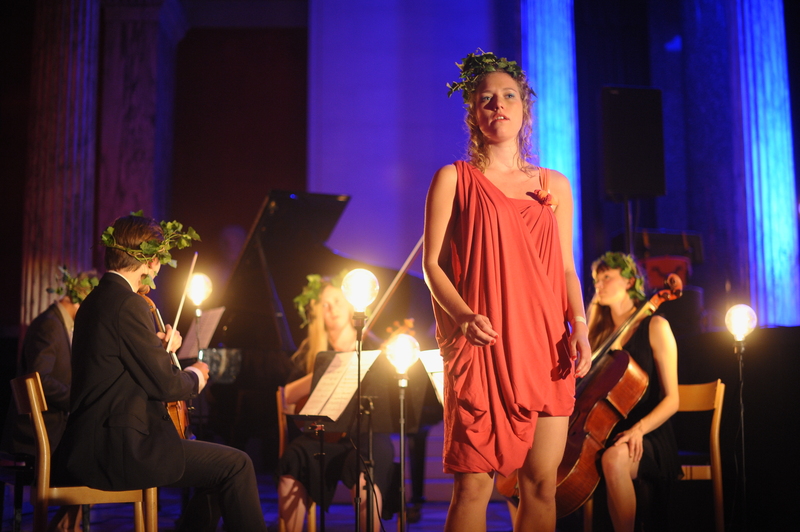 The 1st of March: performance at Glyptoteket, CPH, for The ‘Ny Carlsbergfondets Legat’. 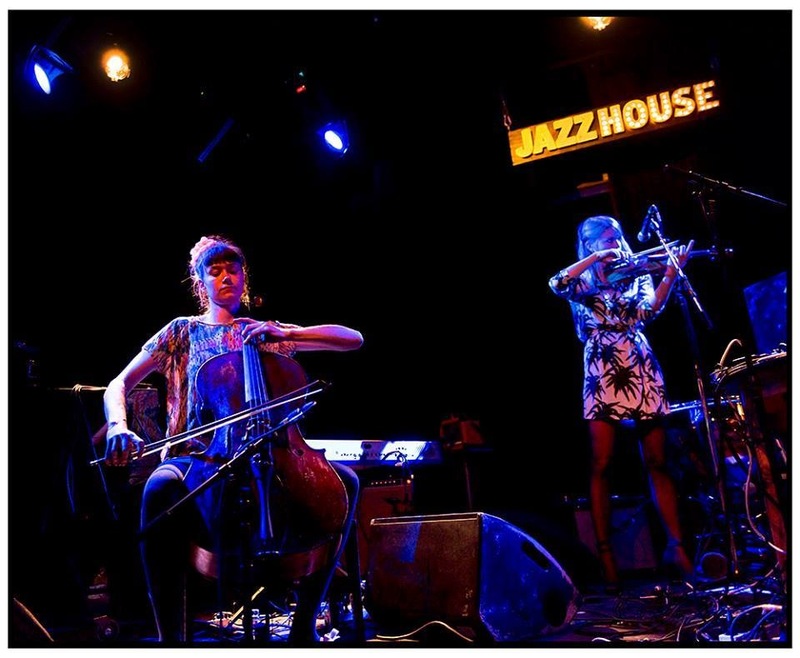 The 20th of February – the 10th of March: Concert tour with ‘Leaves – The Colour of Falling’. Concerts in Barbican Hall, Muziekgebouw Amsterdam, De Doolen Rotterdam, Muziekgebouw Eindhoven, De Oosterpoort Groningen, Malmö Live Koncertsal, Koncerthuset in Copenhagen. The 10th – the 12th of February 2017: We like We @ Nordklang Festival, Switzerland. The 4th – The 26th of Februar: experience ‘Rejsen til Molens Ende’, a sound and light installation by Sound Engineer Peter Albrechtsen, We like We, Solbrud, Rune Rask and Obscura at Frost Festival, Ofelia Plads, CPH. The 4th of February, 19.00 and 22.00: Cirkelkoncert at Frost Festival with We like We in the Parking area underneath Ofelia Plads, Copenhagen. The 4th of February 2017, 15.00: KOTTOS playing ‘Martyriet’, an opera by John Frandsen @ Takkelloftet, The Royal Theatre. Kaj Munk: Morten Grove Frandsen, Lise Munk: Liv Oddveig Midtmargeli. The 3rd of February 2017, 19.30: KOTTOS playing ‘Martyriet’, an opera by John Frandsen @ Takkelloftet, The Royal Theatre. Kaj Munk: Morten Grove Frandsen, Lise Munk: Liv Oddveig Midtmargeli. The 2nd of February 2017, 19.30: KOTTOS playing ‘Martyriet’, an opera by John Frandsen @ Takkelloftet, The Royal Theatre. Kaj Munk: Morten Grove Frandsen, Lise Munk: Liv Oddveig Midtmargeli. The 31th of January 2017, 19.30: KOTTOS playing ‘Martyriet’, an opera by John Frandsen @ Takkelloftet, The Royal Theatre. Kaj Munk: Morten Grove Frandsen, Lise Munk: Liv Oddveig Midtmargeli. The 30th of January 2017, 19.30: KOTTOS playing ‘Martyriet’, an opera by John Frandsen @ Takkelloftet, The Royal Theatre. Kaj Munk: Morten Grove Frandsen, Lise Munk: Liv Oddveig Midtmargeli. The 28th of January 2017, 19.30: KOTTOS playing ‘Martyriet’, an opera by John Frandsen @ Takkelloftet, The Royal Theatre. Kaj Munk: Morten Grove Frandsen, Lise Munk: Liv Oddveig Midtmargeli. 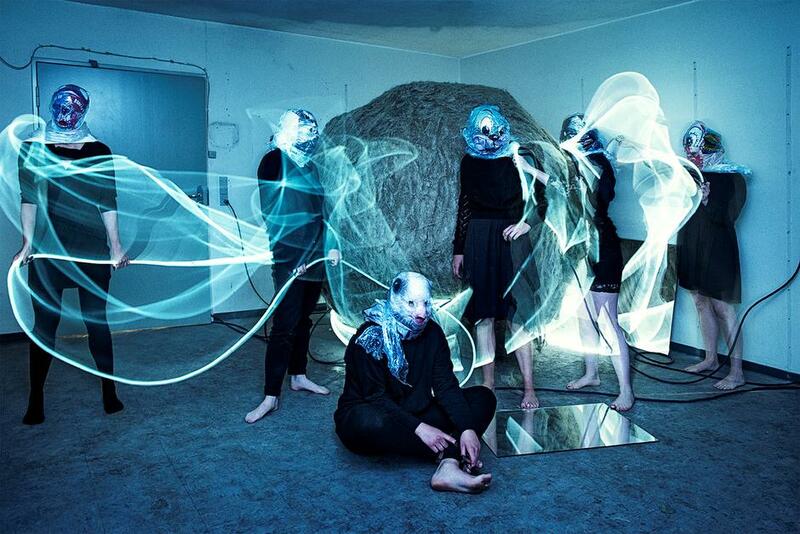 The 18th of December, 19.30: New Light Messiah featuring KOTTOS, Musica Ficta og Bo Holten @ Rønne Kirke, Bornholm. The 16th of December, 19.30: New Light Messiah featuring KOTTOS, Musica Ficta og Bo Holten @ Sankt Pauls Kirke, Copenhagen. 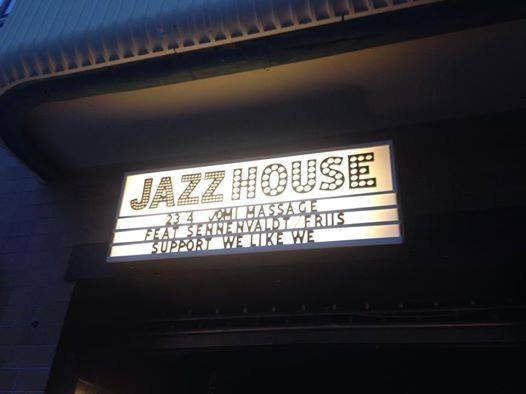 The 26th of November 21.30: Playing with We like We at 11-Tsuki Jazzfest, TAPE, Århus. The 4th of November 20.00: Playing with We like We at INES in Halmstad, Sweden. The 14th of October, 18.00-00.00: Solo installation at Thorvaldsens Museum, Copenhagen. The 12th of October, 20.00: Premiering pieces by Moondog at the ‘Moondog 100 years’ in Literaturhaus with Anders Holst, Jeppe Zeeberg, Robert Stillman, Rasmus Kjærgård Lund, Rune Lohse and Sean Carpio. 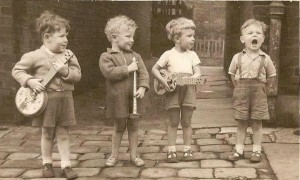 The 9th of October: We like We playing in Bamberg, Germany. 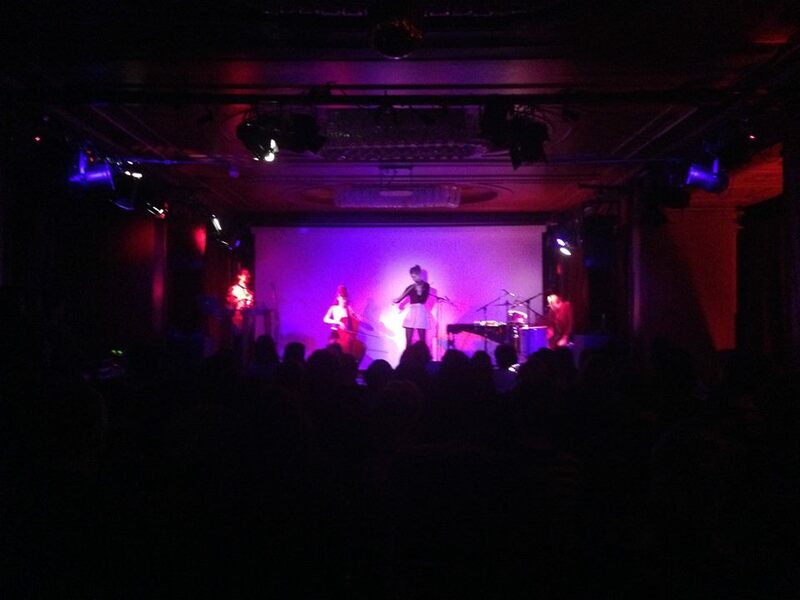 The 8th of October: We like We playing at Kiezsalon, Berlin. The 2nd of October 12.00-15.00: DJing at Gl. Holtegaard for the annual Apple Day. Mixing baroque tunes with contemporary sounds and atmospheres. The 1st of October 20.00: Concert with Nikolaj Nørlund in Studie 2 at Koncerthuset, Copenhagen. The 30th of September 20.00: Concert with Nikolaj Nørlund in Musikhuset Århus. The 28th of september, 19:30: Concert with harpist Trine Opsahl. The 21st of September 17.00-19.30: Accompanying the opening of ‘Flygtige Øjeblikke – Drawings by Auguste Rodin’ at The National Museum of Art in Copenhagen with KOTTOS. 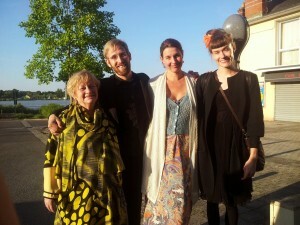 The 9th of september, 19.30: We like We In A-salen, Skuespilhuset. 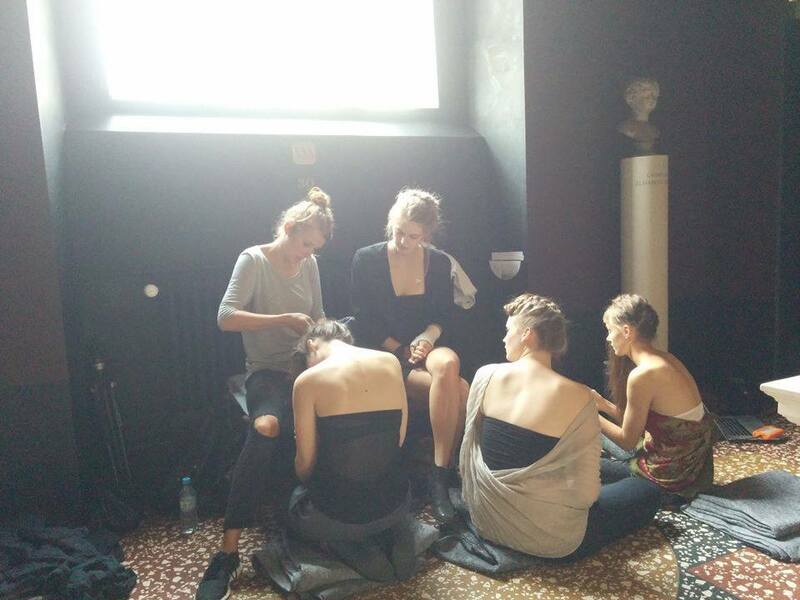 The 8th of september 20.00: Concert walk with Josefine Opsahl through the great halls of Glyptoteket at SLOW festival – ‘En aften om Løgn‘. The 7th of september, 19.30: Duo concert with Bjarke Mogensen in Sauland Kirke, Telemark, Norway. 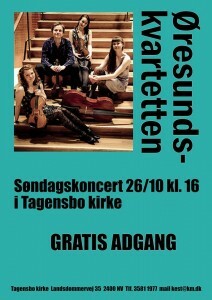 The 6th of september, 19.30: Duo concert with Bjarke Mogensen in Seljord Kirke, Telemark, Norway. 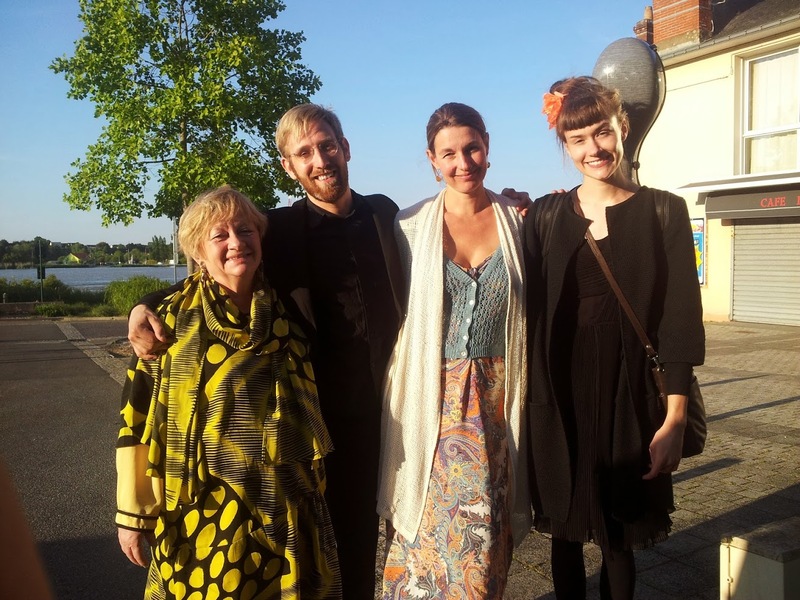 The 28th of August, 15:00: Earunit Concert in Literaturhaus. Josefine playing solo pieces and We like We reinterprets ‘a new Age of Sensibility’. The 27th of August, 15.00: KOTTOS interprets baroque pieces in the baroque garden of Gl. Holtegaard. The 21h of August, 15:00: Earunit Concert in Literaturhaus. Josefine playing solo and ensemble pieces. The 20th of August, 16.30-17.30: Concert with Nikolaj Nørlund @ Wonderfestiwall, Bornholm, Denmark. The 1st of August, 14:00: Kottos playing at Vendsyssel Festival, Den Gamle Station, Hirtshals, Denmark. The 30th of Juli 13.00: concert with Kottos at Frederiksværk Musikfestival, Gjethuset, Frederiksværk. 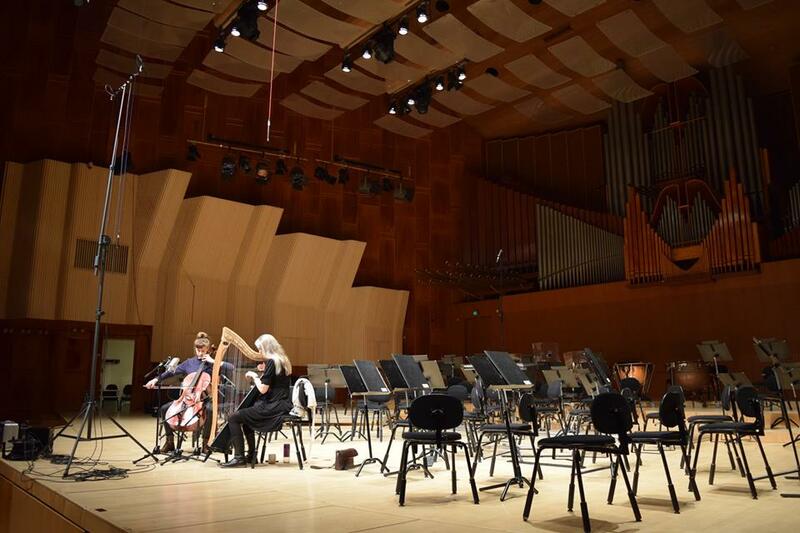 Premiering pieces by John Frandsen and Josefine Opsahl. 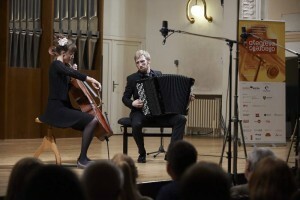 The 22nd of July, 20.00: Duo concert with accordionist Bjarke Mogensen in Maria Hjerte Kirke at Sostrup Slot. The 22nd of July, 21.00: Duo concert with accordionist Bjarke Mogensen in the beautiful garden of SMAG in Ebeltoft. The 2nd of July, 21.00: Concert with MØ @ Roskilde Festival, Denmark. The 25th of June, 16.00: Concert with MØ @ Glastonbury Festival, England. The 8th of june, 17.00: LIVE at glHoltegaard. 4 cellos accompanies the exhibition together with Ulrik Heltoft’s talks. 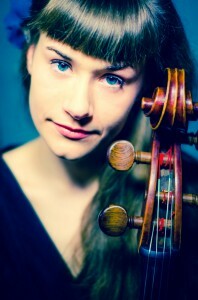 The cellists are Cæcilie Trier, Josefine Opsahl, Lil Lacy, Soma Allpass. The 2nd of June, 19:30: Release Concert and celebration of Kottos‘ debut Album in Admiral Geddes Gård, St. Kannikestræde 10 A, 1169 København K.
The 27th of April, 19.30: We like We playing on SPOT festival at Tape, Århus. 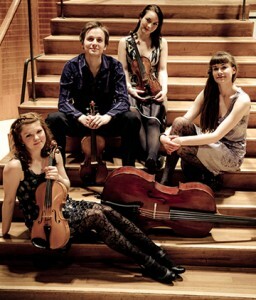 The 17th of April, 15.00: concert with Kottos, Herstedøster Kirke, Herstedøstergade 5, Albertslund. 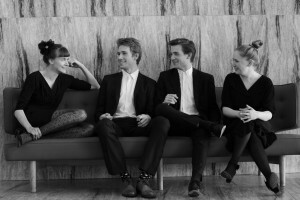 The 10th of april 15.00: concert with Kottos, Lundehus Kirke, København NV. 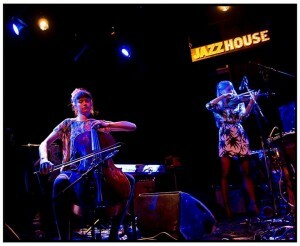 The 8th of April: ‘Leaves’ concert performance, Brugge, Belgien. Read more here. The 14th of March 19.30: concert performance at Pulsar Festival at Studiescenen, The Royal Danish Academy of Music, Copenhagen. Pieces by Poul Ruders, Matias Vestergaard Hansen and Jens Peter Møller. Den 5. Februar kl. 17: uropføres forestillingen ‘SUK’ skabt af Lil Lacy i Skovhuset. Medvirkende: Signe Lykke, Bjarke Mogensen, Lil Lacy og Josefine Opsahl. Den 30. Januar kl. 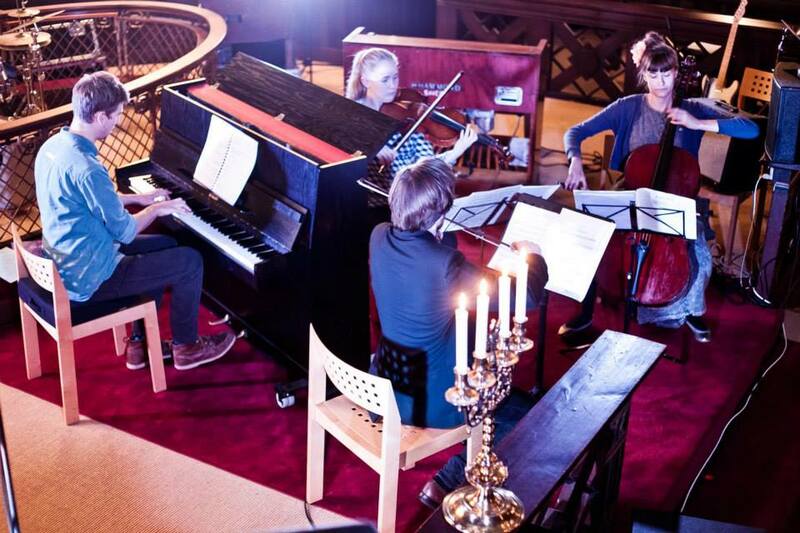 20: Josefine medvirker i en dobbeltportrætkoncert omhandlende Kaija Saariaho og Niels Rosing Schow under Njord Biennalen i Koncertkirken på Nørrebro. 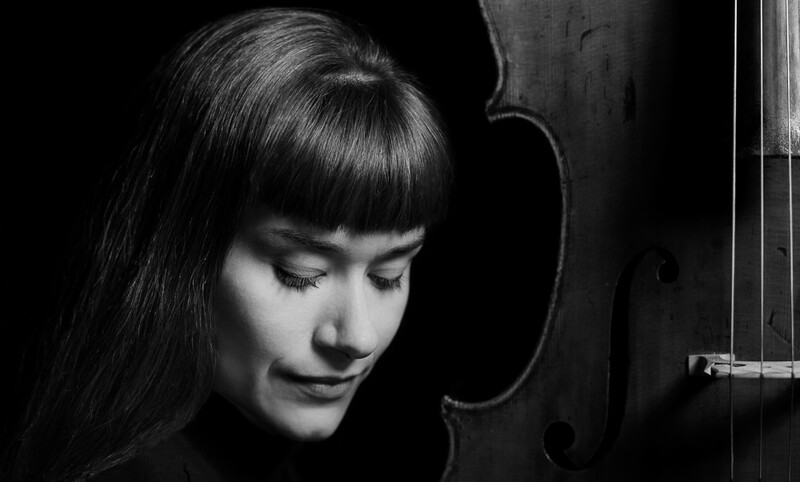 Blandt andet spiller Josefine Rosing Schow’s værk for solo cello ‘Views from a High Place’ og uropfører ved samme lejlighed 2 satser af samme komponists værk ‘Respiro’ sammen med accordeonist, Bjarke Mogensen. Den 27. Januar kl. 16: Public Service Happening i Dome of Visions med blandt andre Violinist Katrine Grarup Elbo og Jomi Massage. Den 21. Januar Kl. 18: spiller Josefine til legatoverrækkelse hos Kromann Reumert på Østerbro. ‘Hver generation har sin måde at lave de store barokke oratorier på. Vi har nu i nogle årtier levet med Messiasopførelser der har været en reaktion mod den romantiske store og brede barokstil, opførelser der søgte at genskabe hvordan musikken måske kunne have lydt på Händels tid. (…) New Light Messiah er et helt nyt Messiasprojekt hvor hele værket fremføres i al sin pragt, men med en besætning der yder barokkens yppige puls og rytmer den fulde retfærdighed. Og med stemmer der i sin slankhed og præcision ligger langt fra det lidt opera-agtige, for på den måde at komme nærmere ånden i Händels udødelige melodiske sprog. Den 5. december: We like We spiller Nye Toner på Bremen teatret. Den 3. december: medvirker We like We ved Kaja Management’s 2-års fødselsdagskoncert. Den 29 oktober kl. 20: Josefine spiller værker af Carsten Bo Eriksen og Ejnar Kanding på spillestedet Stengade til Klub Avantgarde. Den 21. november: Ny musik i Birkerød med kvartetten Kottos. 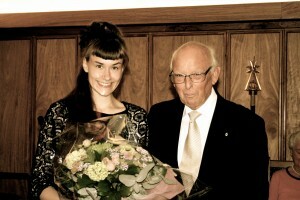 På koncerten uropføres flere af kvartettens egne værker og Josefine uropfører ‘Sterna’ komponeret og dedikeret til hende af Christos Farmakis. Den 21. oktober kl. 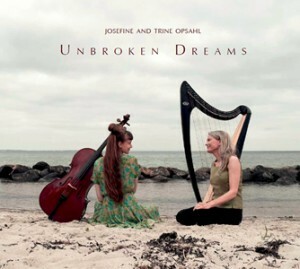 19.30: Releasekoncert for pladen ‘Unbroken Dreams’ med duoen Opsahl og Opsahl i Literaturhaus på Nørrebro i København. Den 11. oktober: ensemblekoncert præsenteret af Earunit v. Ejnar Kanding og Carsten Bo Eriksen. Værker af de to og Karsten Fundal. Den 10. oktober: tangokoncert med Bjarke Mogensen i Keddelhallen, Frederiksberg. Den 8. oktober: duokoncert med Bjarke Mogensen på restauranten ‘Smag’ i Ebeltoft. Her spiller duoen værker af Gubaidulina, Senderovas, Kuusisto og egne værker. Den 20. september kl 16: solokoncert præsenteret af Earunit v. Ejnar Kanding og Carsten Bo Eriksen i Litteraturhaus. 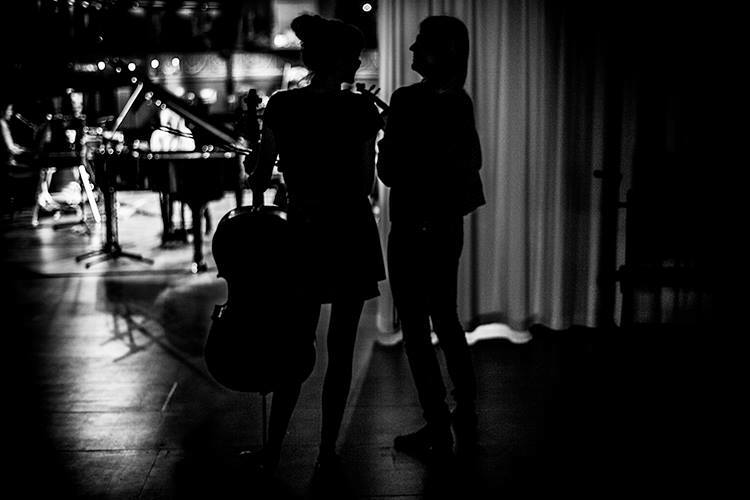 Ved koncerten uropføres værker af de to for solo cello med live electronics og akkompagnerende klaver. 17.-19. september: medvirker Josefine som solist i Steffen Brandt’s ‘Udenfor Sæsonen’ på Bornholm. Udenfor Sæsonen er en koncertrække, der søger at ruske op i forestillingerne om den gængse musikalske genreopdeling. 10.-12. september: Mini-turne med We like We og Kvindebandet. Første koncert på Radar i Århus, næste i Huset på Hasserigade, Aalborg, og sidste i Karens Minde Kulturhus, København. 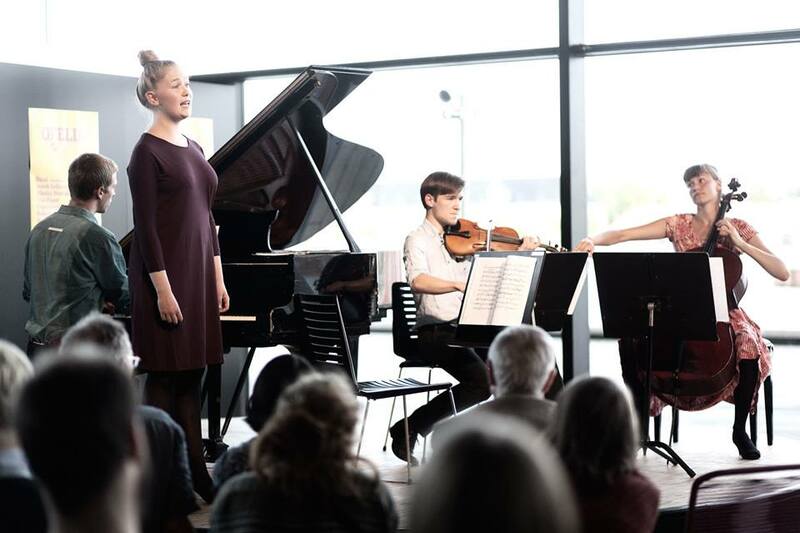 Den 1. september: Koncertversion af operasuccessen, ‘Leaves’ i Rådhussalen, Århus. Den 22. august: koncert med We like We på Flux Festival i Århus. Den 26. juli-8. august: medvirker Josefine i ‘Leaves – the color of falling’, en opera skrevet af Karsten Fundal i samarbejde med bandet Efterklang med tekster af Ursula Andkjær Olsen. Operaen uropføres i denne periode i en atomkælder under Københavns gamle kommunehospital og foregår i en total-installation skabt til værket. Den 14. juli 2015 kl. 20: AUT og Århus jazzfestival har inviteret We like We til at spille en koncert på spillestedet Radar. Dette bliver samtidig We like We’s Århus debut. Yeah! Lørdag d. 4. juli: WE LIKE WE @ GLORIA SCENEN, ROSKILDE FESTIVAL. Den 29. juni kl. 17: Produktionsøver med We like We på Studiescenen på Det Kongelige Danske Musikkonservatorium. Kom for få en forsmag på vores Roskilde Festival performance næste lørdag. Den 27. juni 2015 kl. 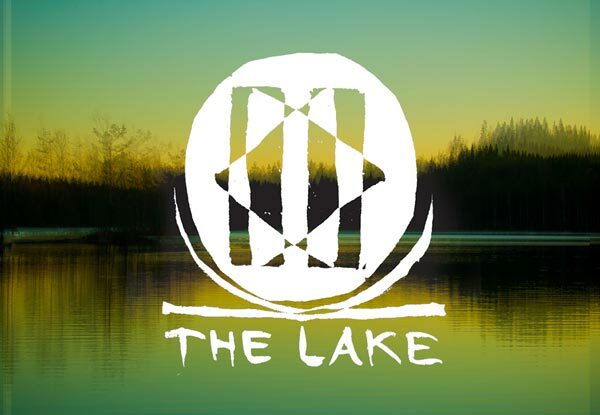 14: Duo koncert med Bjarke Mogensen i Havesalen på Københavns Bymuseum præsenteret af The Lake Radio. Nyere kompositioner og egen værker for cello og akkordeon. Den 25. juni 2015: koncert på Fusion festival i Lärz, Tyskland med We like We. Den 5. juni 2015 kl. 15: koncert med Kottos i Farum Præstegård. Den 4. juni 2015: Distortion Festival, København. Koncert kl. 17 på Wilhelm Scene, Enghave Plads. 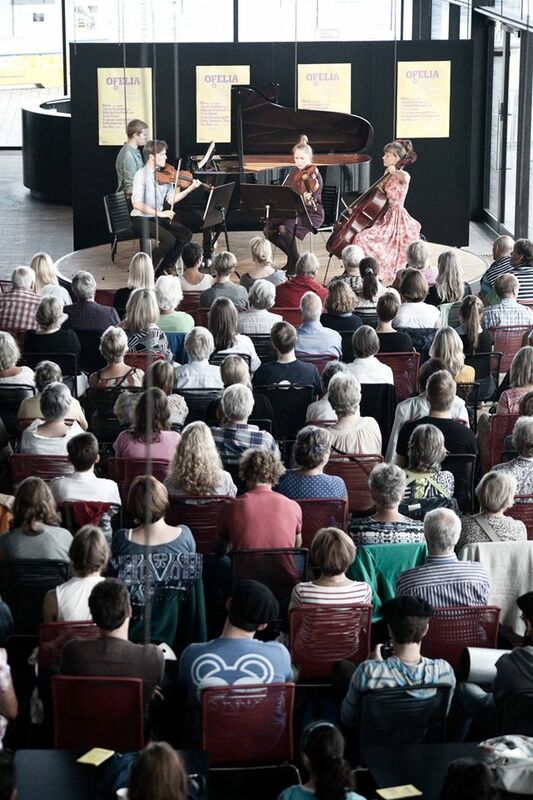 Den 21. maj 2015: performance ved Classical Next i Rotterdam, Holland. Lørdag d. 16. maj kl. 13: Særligt trio sæt på Click festival i Helsingør med We like We. Den 1. februar 2015: koncert med Muradam Ensemblet i Rundetårn, København. Muradam ensemblet består af Sofie Thing Simonsen, Bjarke Mogensen og Josefine Opsahl. Ved koncerten spiller trioen værker af Benedicte Nordin, Jesper Nordin, Niels Rosing Schow, Anatolijus Senderovas, Martin Lohse m.fl. Den 13. februar 2015: SMK fridays og Frostfestival præsenterer We like We ved en koncert på Statens Museum for Kunst i København. 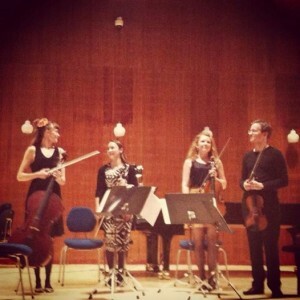 Den 4. februar 2015 spiller Øresundskvartetten og Bjarke Mogensen koncert i Galaksen, Værløse. Ved koncerten uropfører kvintetten blandt andet værket ‘Where We are There is No Here’ af Martin Stauning. Den 12. januar 2015 kl. 20: koncert med We like We i Roter Salon, Berlin. Koncerten er arrangeret af Radiostationen The Lake. Indspilningerne med Trine Opsahl i Radiohusets Koncertsal i fuld gang. Ny plade udkommer til sommer. 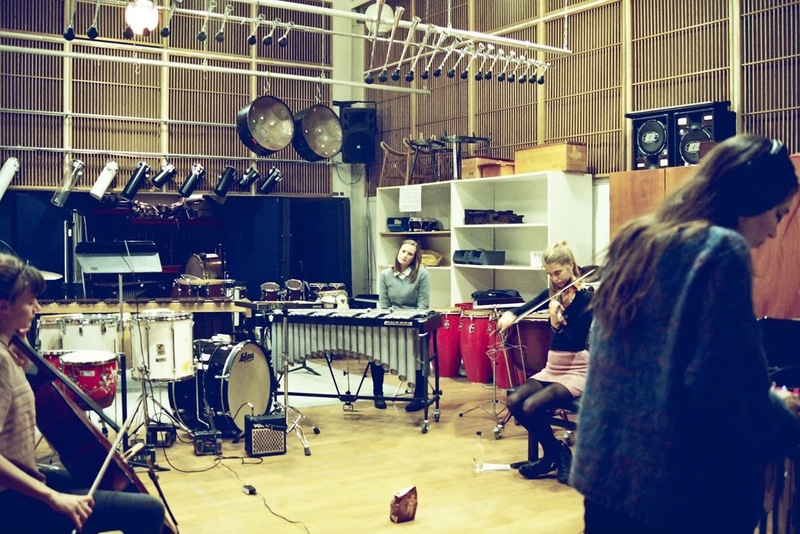 Gå ikke glip af releasekoncerten for We like We’s debutalbum, ‘a new Age of Sensibility’ på Københavns Musikteater d. 16. december kl. 19.30. Ud over We like We, vil blandt andre Bjarke Mogensen og Jacob Kierkegaard medvirke. Den 17. november kl. 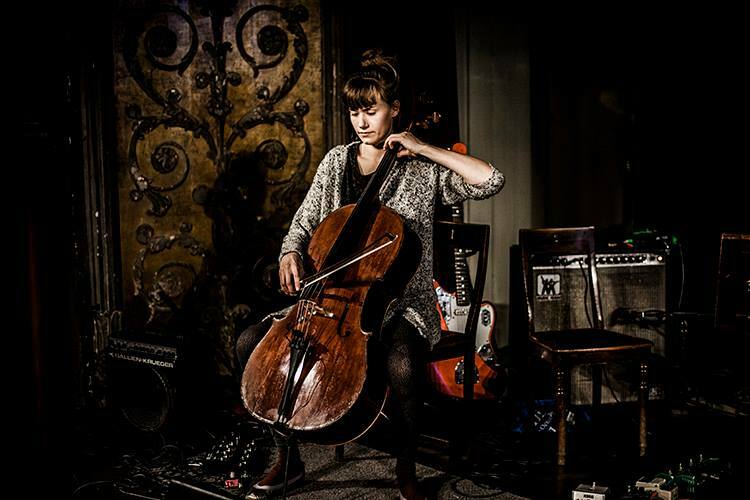 19.30 spiller Josefine Niels Rosing-Schow’s ‘Views from a High Place’ for solo cello på Det Kgl. Danske Musikkonservatoriums Studiescene. Josefine spiller på Define Festival i koncerthuset Alsion, Sønderborg med Øresundskvartetten lørdag d. 15. november kl. 20. Josefine medvirker ved Det Kgl. Danske Musikkonservatoriums Sofia Gubaidulina festival d. 12. november hhv. kl. 17 og kl. 19.30 i værket ‘Repentance‘ for cello, 3 guitarer og Kontrabas, samt hendes 3. Strygekvartet med Øresundskvartetten. Øresundskvartetten spiller Carl Nielsens strygekvartet i G-mol til Brunchkoncert på Statens Museum for Kunst for DRSO’s medlemmer, støtteforening og venner. Bjarke Mogensen og Josefine spiller duo koncert d. 8. november i Verdens Mindste Teater i Albrechtsens Galleri, Kronprinsessegade 3 ved Kongens Have, København. Værker af Josefine Opsahl, Niels Rosing-Schow, Sofia Gubaidulina, Anders Koppel og Martin Lohse. Øresundskvartetten spiller strygekvartetter af Carl Nielsen og Johannes Brahms i Tagensbo kirke d. 26. oktober kl. 16. Den 15. oktober kl. 17 spiller Païan værker af Mahler til onsdagskoncert på Radisson Blu Hotel og d. 18. oktober kl. 12.15 går turen til Det Gule Palæ i Roskilde, hvor kvartetten udover Mahler, spiller Dvoraks Bagateller og Nørgårds Babette musik. Ny Musik i Birkerød d. 28. september med Bjarke Mogensen på accordion og Mikkel Egelund Nielsen på guitar. Udover at Josefine uropfører sit eget værk, ‘I’ for solo cello og elektronik, spilles bl.a. værker af Niels Rosing-Schow, Loic Destremau, Jens Peter Møller (Uropførelse), Martin Stauning. Den 27. september medvirker Josefine ved 2 uropførelser af hhv. Piotr Peszat og Chie Tsang Lee og til China Day på Det Kgl. Danske Musikkonservatorium. 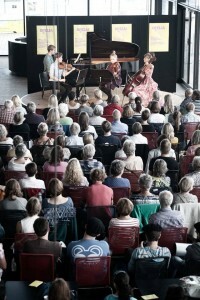 Kottos gæster festivalen ‘Klassisk på Kanten’ på Bornholm 13.-15. september 2014 i Rønne Musikhus. 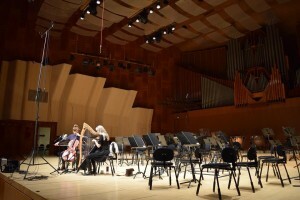 Koncerterne bliver et sammenspil mellem Kottos og Piazzolla Orkestret, der sammen præsenterer et spændende program, der foruden græsk og dansk folkemusik, også kommer til at rumme værker af Piazzolla og barokmusik. 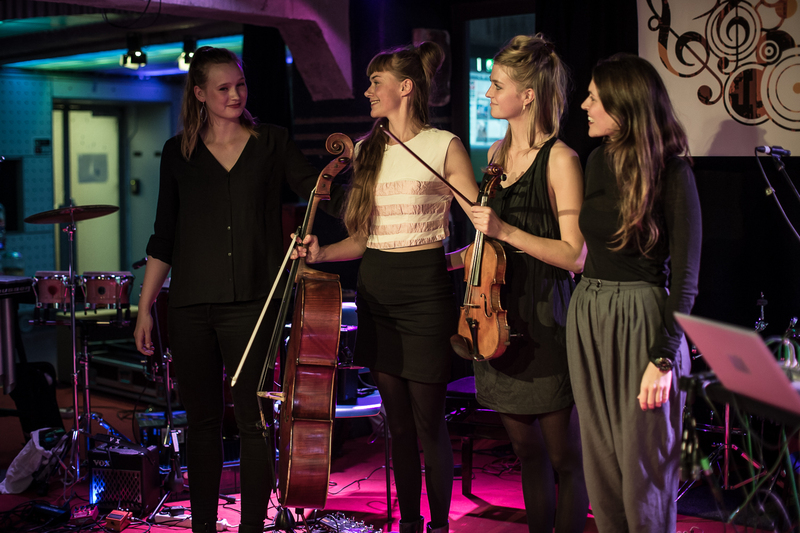 We like We Strings spiller en eksklusiv koncert på D’Angleterre som et event under årets Fashionweek. Det er den 21/8 2014 og programmet vil være sammensat specielt til lejligheden. Blandt andet vil de to strygere genbesøge Ravels fantastiske duo, Niels Rosing-Schows ‘Views from a High Place’, Sofia Gubaidulinas 10 preludier, Martin Lohses ‘Entity’ samt kompositioner fra We like We’s debutplade, som snart udkommer. Trine og Josefine spiller traditionen tro til årets Rosenkåring i Valbyparken den 3. august. Vi glæder os! 10/7 – 2014: Paian spiller koncert i Skuespilhuset som en del af Det Kgl. Teaters sommerfestival ‘Ofelia Live’. Koncerten finder sted under Copenhagen Jazz Festival og programmet vil derfor være inspireret af og udforske nogle lignenede aspekter i den klasssike musik. Muradam ensemblet spillede debutkoncert i ‘La Vinaigrerie’, Pellerin, Frankrig d. 17. maj. Værker af Benedicte og Jesper Nordin, Carl Nielsen, Niels Rosing-Schow, Anders Koppel, Scarlatti og Saint Saens. Den 14. maj spiller Josefine til prisoverrækkelse af ‘Pax Logens Humanitære Legat’ i Odd Fellow Logen i Hillerød. Jomi Massage præsenterer We like We feat. saxofonist Mette Rasmussen på Jazzhouse d. 23. april 2014. Kottos spiller koncert på Børsen d. 25.3 – 2014. På programmet er græske folkemelodier og musik af Carl Nielsen i nye arrangementer af Christos Farmakis. Klaverkvartetten Paian uropfører 10.3 – 2014 Martin Staunings stykke: ‘Garosella #2 og #3’ til festivalen Pulsar på konservatoriets studiescene kl. 21.30. We like We går i studiet 13.-17. februar! Vi glæder os! 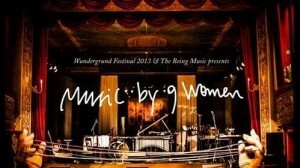 The Being Music & Wundergrund Festivalen præsenterer lørdag d. 2. november ‘Music by 9 Women’ på Hofteateret i København. We like We starter med koncerten “Group Pressure?” Derefter værket “Blindekrydset”. 4 satser komponeret af Jomi Massage, Birgitte Alsted, Lise Westzynthius. Medvirkende er desuden henriette Sennenvaldt & Maria laurette Friis. Scenografi af Margrethe Odgaard. Musikken starter kl. 21. Paian spiller til Toga symposion på Glyptoteket d. 6.9 – 2013 i forbindelse med festivallen Golden Days. Værker af Martin Lohse, Matias Vestergård Hansen, Nørgaard og Debussy. 1800-tals koncert på Eriksensgård i Rønne, Bornholm med Bjarke Mogensen og medlemmer af Øresundskvartetten d. 12.8 – 2013. Værker af bl.a. Dvorak, Komitas, Tjaikovsky og Debussy. 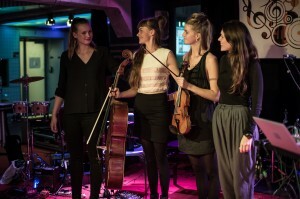 Paian Piano Quartet spiller dansk musik i Skuespilhuset d. 25/7 – 2013. Værker af Holmboe, Nørgaard, Martin Lohse og Matias Vestergård Hansen.